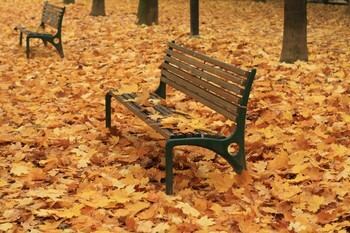 As it was in the last semester, we had again one week long holiday in the middle of the semester. I used the time to go home to the Czech Republic to enjoy real food and beer . The journey home was quite ok, I went by car with my Polish friends. I was at home after approximately 12 and half hours. It was a big surprise for everybody, because I had not told anybody before. In the middle of the week Alina came after exhausting journey by trains through the whole Poland. In the next days, we explored my home city. We started at the Black meadows fair grounds in the Fairy tale ghost cellar. It was nice and prepared in a very scary way, as you can see from the pictures. If I had gone there as a small kid, I would probably have trouble sleeping at night . Our next stop was the aquarium with lot of fish and some other animals like monkeys or a crocodile. After that we went to see Miniuni. 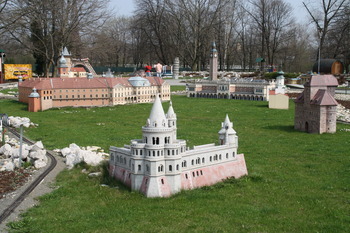 It is a place with many miniatures of the famous buildings in the world. Our last stop that day was the recently repaired Silesian-Ostrava castle. The „exploration“ was very interesting for me, because I had no idea that some of the places exist . Next day we spent in the Ostrava ZOO. It was expanded and rebuilt significantly since my last visit (I think three years ago). 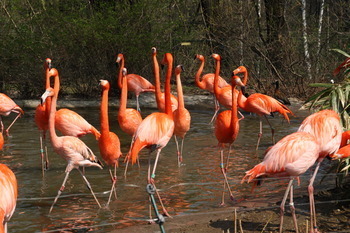 The places around the ZOO area were made into botanical gardens with several themed footpaths. On our was back home we stopped at the new town hall that also serves as a watchtower. The weather was good, so we can see a big part of the city. Mining museum was our main stop on the following day. We saw a lot of interesting stuff there, like exposition of the rescue devices. We also attended the guided tour in the mine. After this wonderful time Alina had to leave. But it would not be „the genuine“ Czech Railways, if the train had not have one and half hour delay. One and half hour was too much to change train to bus in Warszawa, it was very upsetting (politely said). The only, but small, satisfaction was that I was able to get the money for the train ticket back. 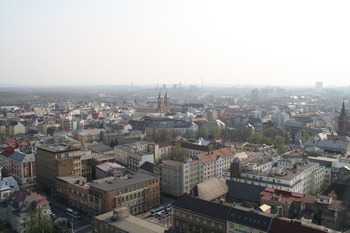 So Alina stayed for two days longer and then left by the direct bus Frydek-Mistek – Vilnius. I travelled back to Denmark by Polish buses just one day after her. It was over 18 hours long journey with two changes in Opole and Hamburg. I am glad it was without problems, just long. I really enjoyed the holiday. But now I have to be in Denmark and get used to bad food again .